JOIN THE WOMEN’S HISTORY ALLIANCE: Membership is free though the National Women’s History Project that is making it a priority to work toward making August 26th a federal holiday. Sign up at the NWHP store. Use the NWHP Gazette to hand out at special events. Order at the NWHP store. While you’re waiting for the stickers to come in, order an Inez Milholland button. These have been popular to hand out when showing the 15-minute film, “Forward into Light,” the feature video produced by Martha Wheelock and Wild West Women. Order the button through the NWHP online store. There’s also an Inez centennial poster and a book about Inez Milholland’s last campaign by Robert P.J. Cooney, Jr. Take note! And we’ll let you know when the Inez stickers are available. InezMilholland.wordpress.com is the blog for the Inez centennial web site. August 26, 2020 is the focal point of the centennial of the 19th Amendment to the US Constitution when American women will have been voting for 100 years. Have you started planning yet for a special program during 2020? This entry was posted on August 26, 2018, in Blog and tagged Inez Milholland, National Women's History Project, Women's History Alliance. 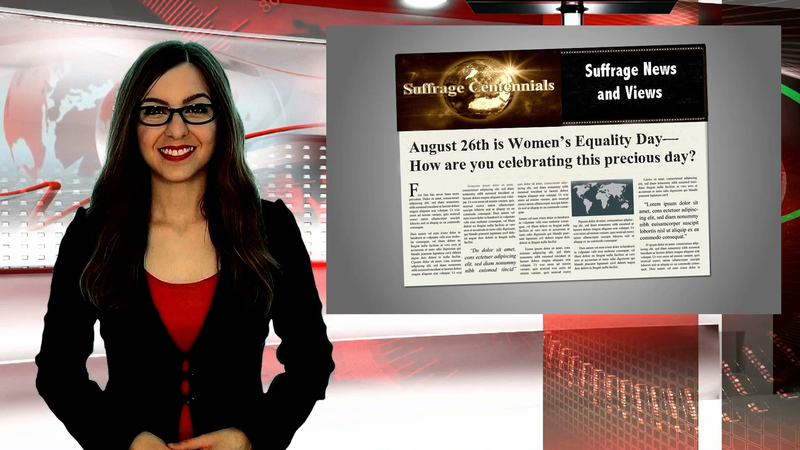 NEWS and reminder about August 26th—Women’s Equality Day! Women’s Equality Day has its own entry on Wikipedia. It tells anyone who visits the internet that the day of August 26th is to commemorate the adoption of the 19th Amendment to the US Constitution guaranteeing women’s right to vote and the long and lonely decades dedicated to its passage. Women’s Equality Day was first celebrated in 1973, and every year the US President announces the observance. But don’t be fooled. It is not a national holiday although many people are advocating for this. 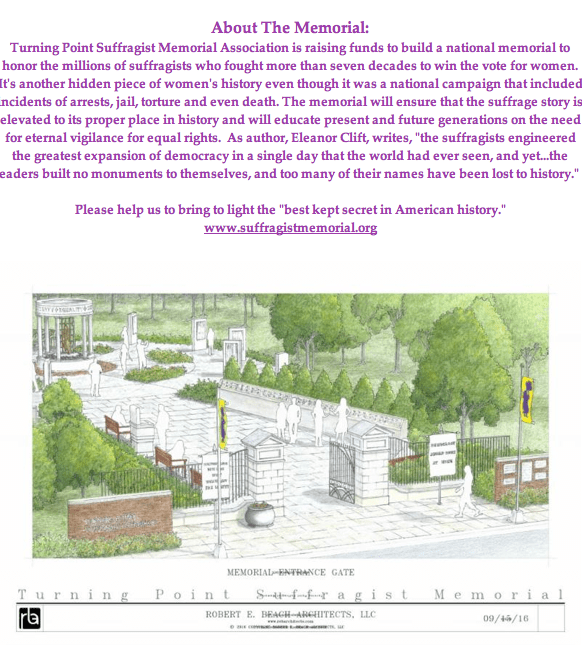 The National Women’s History Project (nwhp.org) has put out a call for supporters of making August 26th a national holiday. Membership is free. Kamala Lopez, filmmaker of “Equal Means Equal,” is working on distributing a national equality pledge to identify elected officials with their stand on the Equal Rights Amendment. Many grassroots and supporting organizations are using “Equal Means Equal” and other contemporary films and videos for fundraising. “Iron Jawed Angels” remains a popular choice. Centennial Park in Nashville. Completed suffrage monuments, now part of the landscape in Tennessee, include Jackson, Knoxville and Nashville. Three more are in progress: Chattanooga, Clarksville, and Memphis. Open to the public. A lawn chair and umbrella for rain or shade from the sun is recommended for the August 25th event. The National Women’s History Museum is promoting tours, starting today, that follow the 1913 woman suffrage parade through DC. The tour starts at the Capitol Reflecting Pool by the Grant Memorial. The tour covers 1.5 miles, lasts about two hours, and ends in Lafayette Square across from the White House. Dates include August 11, 17, 18, 24 and 31, 2018. Contact the Museum web site for more information and cost. 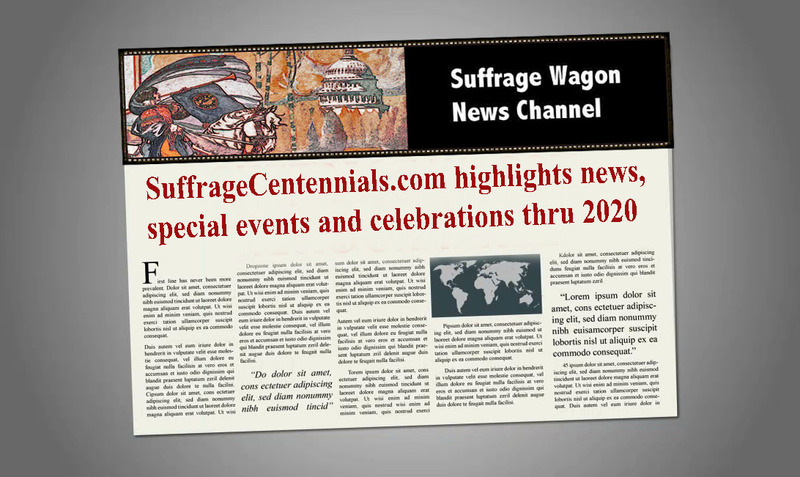 SuffrageCentennials.com continues to work toward 2020, the centennial of the ratification of the 19th Amendment. Follow us on the blog, Twitter, Facebook, and email subscription. This entry was posted on August 10, 2018, in Blog and tagged August 26, Inez Milholland, Women's Equality Day. New Zealand celebrating 125 years of women voting! New Zealand women have been voting for the past 125 years! This observance is being accompanied with planning to erect a plaque to commemorate 1893 to 2018 by the Walmate Edwardian Heritage Group. Records show that on a suffrage petition submitted to Parliament on July 28, 1893, the names and addresses of about 24,000 women aged over 21 were featured. 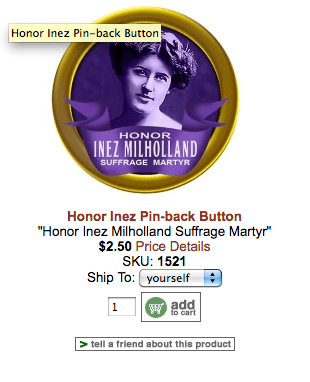 Honor Inez Milholland, the U.S. suffrage martyr! on Vimeo. Be prepared for the reactions of some Americans who don’t want to be reminded that U.S. women will have been voting for 100 years in 2020. Also, there are Americans who want to see August 26th designated as a national holiday. It’s uncomfortable to many citizens that after almost 100 years of women voting, no women has been elected to serve in the Oval Office in Washington, DC. Also—in 2023, U.S. women will have been working for 100 years to guarantee equal rights for women under the U.S. Constitution. 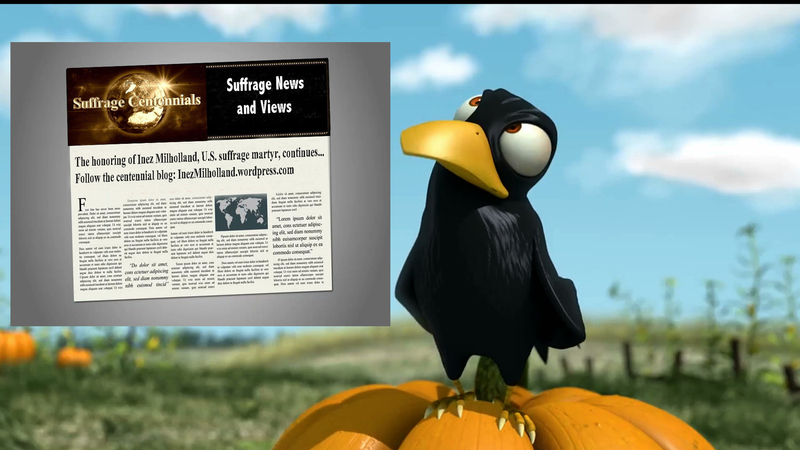 The above video was produced in 2016, the 100th anniversary of the death of Inez Milholland, the U.S. suffrage martyr. Many American women have no idea that Inez Milholland died in 1916 for women’s voting rights. 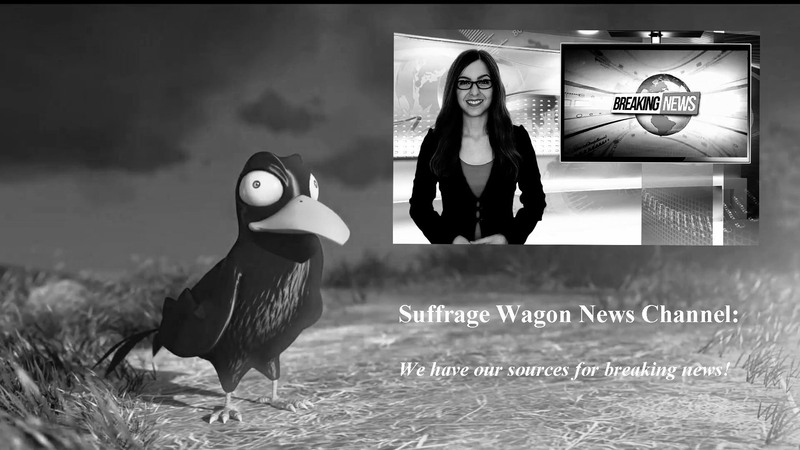 Stop by Suffrage Wagon News Channel to find out about the “Spirit of 1776” suffrage wagon used by Edna Kearns and others that was on exhibit at the New York State Museum from 2017 to 2018. 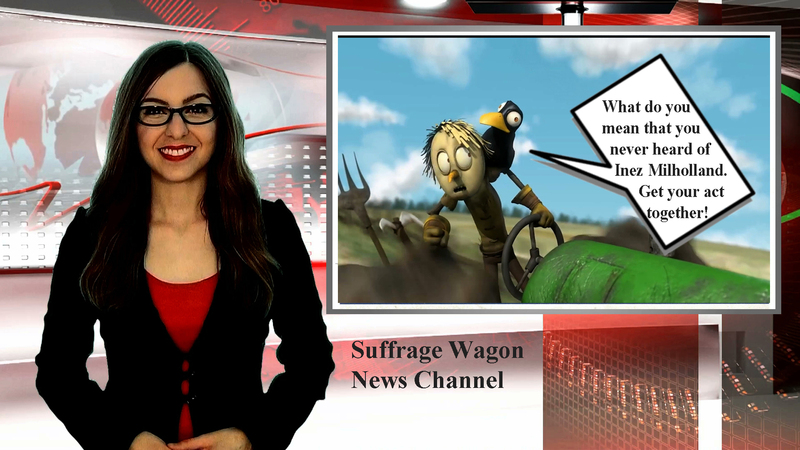 The wagon is a symbol of the agitation around women’s voting rights. Support the New York State Museum in finding a way to put the wagon on permanent exhibit, for now and future generations. This entry was posted on August 8, 2018, in Blog and tagged "Spirit of 1776" wagon, August 26th, Inez Milholland. This year the National Women’s History Project honors women who have led efforts to end war, violence, and injustice and pioneered the use of nonviolence to change society. These Honorees embraced the fact that the means determine the ends and so developed nonviolent methods to insure just and peaceful results. From women’s rights and racial justice to disarmament and gun control, the drive for nonviolent change has been championed by visionary women. These women consciously built supportive, nonviolent alternatives and loving communities as well as advocating change. They have given voice to the unrepresented and hope to victims of violence and those who dream of a peaceful world. Contact the National Women’s History Project for more information. nwhpnominations@gmail.com by May 31, 2018. Make sure you, your friends, schools and organizations are planning for 2020 when U.S. women will have been voting for 100 years. 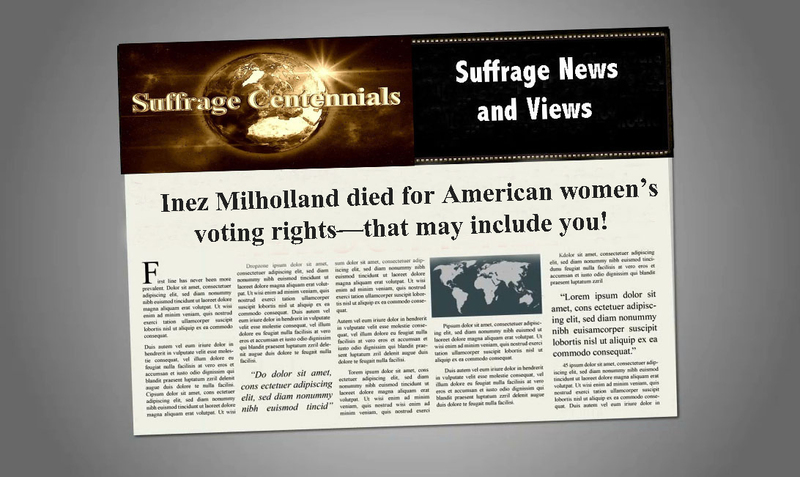 Visit the centennial blog for Inez Milholland, the U.S. suffrage martyr. The National Women’s History Project sponsored a year-long observance of the 100 years since Milholland’s death in 1916. Help remember Inez during 2020. This entry was posted on May 7, 2018, in Blog and tagged 2020 suffrage centennial, Inez Milholland, National Women's History Project, suffrage.